Before applying a fresh coat of paint on any surface, you have to prepare it well. Otherwise, the paint will not hold. You may end up using a lot of paint, which is a waste of resources. Surface preparation starts with the removal of loose paint. This article will look at proper power washing for painting preparation. An equipment known as power washer is used. It is connected to a water hose in order to release water jets at high pressure. Power washers should be used by someone with experience. High pressure water jets directed at a surface such as wood and brick tends to etch these surfaces. It can also remove mortar from joints. That is why you need to have the pressure settings right. The aim is to remove loose paint not to cause damage to the surface you want to repaint. Using this machine is fun. You can buy your own or hire from a home repairs or renovations firm. Power washers usually have a way of controlling the amount of water pressure depending on the surface you are cleaning. Wooden surfaces require 800 to 1000 pounds per square inch (or psi). Other surfaces can take up to 1500 psi. If you have never handled a power washer before, you may request the person at the rental firm to give you a demonstration. As always, safety concerns should come first. Ensure you have put on the right safety gear such as overalls, goggles, face mask, and boots. Spread a plastic or cardboard sheet on the floor or ground near the wall or surface you intend to clean. This is for catching loose paint chips. Before you start working, do some tests to gauge the pressure level. Hit the surface several times until you achieve the desired distance and pattern of spraying. There should be no people standing nearby. If you have a pet such as a dog or cat, restrain them first such that they will not have access to the working area. The equipment has got rotating nozzles enabling you to cover a wider surface area. Power washing turns water pressure into a powerful and highly effective paint removal medium. It not only removes paint but also cleans the surface thoroughly. For you to understand just how useful proper power washing for painting preparation is, think about big projects such as repainting industrial buildings. Doing so by hand calls for several days of work and a large work force. It is not so with power washing. It cuts the slack by minimizing work duration and number of people required. 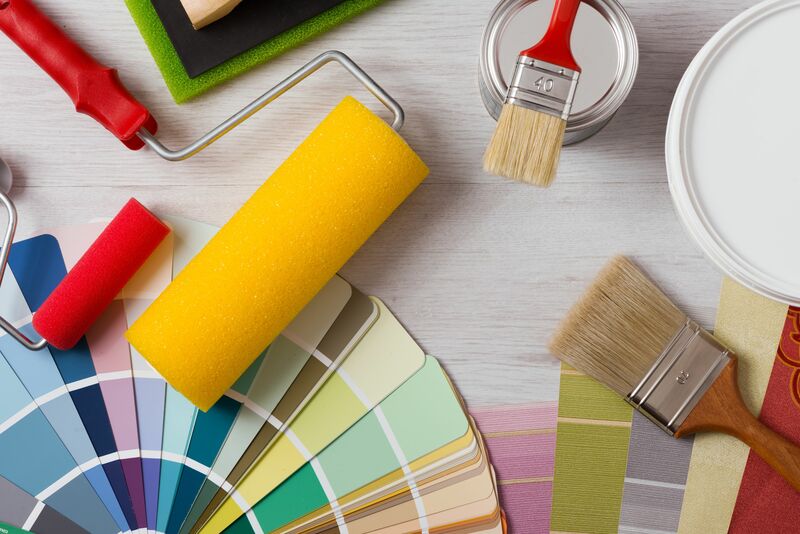 For the best results however, hire an expert painter or renovations team. This will depend on the size of the surface you intend to repaint. In most cases, industrial buildings call for such experts. Hired teams will come on site with their own workers and specialized equipment. Always ensure that the company you hire has taken workers insurance. If you anticipate paint jobs often, you can buy a power washer for future use. By doing power washing properly, the paint coats applied will hold firmly for many months.